I’m Spanish so making Latin dishes is part of my DNA, unfortunately that means a lot of fried foods, and lots of rice and beans, so that’s why this new book, Healthy Latin Eating sparked my interest because it’s all about the traditional Latin flavors but switching them up a bit and making them healthier. The Skinnytaste Cookbook has been on my radar for a while now, it’s a compilation of low-calorie recipes from a fellow blogger (whom I follow/stalk on IG) and makes absolutely delicious dishes that are easy to make and full of flavor. If there’s anything that will drive me to get up and move – it’s new gear. 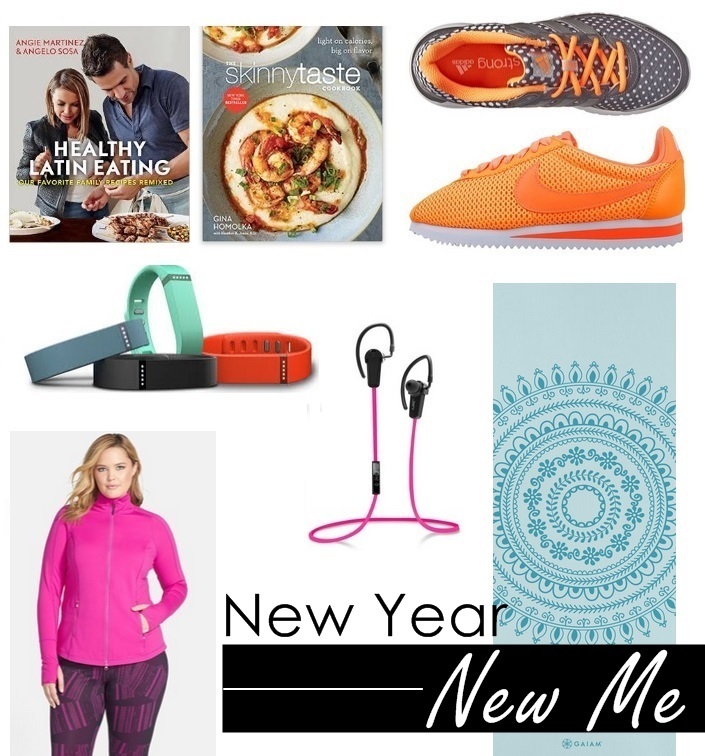 From fly new sneakers and cute workout apparel, to Fitbit watches to keep me on track and motivated. I also love music and yoga so a new mat and headphones are a must for me. My husband and I have started a conscious decision to leave our phones out of our bedroom or have them off completely at night instead of laying in bed scrolling through our phones. We have found that doing this puts our minds at rest and makes for a better night’s sleep. I heard about this on the news a few weeks back and was skeptical at first that it would really make a difference, but I feel like it really has! Anyone who is struggling to go to sleep at night should definitely try this. Have you made any healthy lifestyle changes recently? What has worked for you? Let me know! These are great goals and very achievable. I started cutting out sugar & processed food since the 1st and it's making a difference in how I feel and bonus that the weight is coming off too.